Summary: Pharmacy glassware from the 19th and early 20th centuries. Abstract: The primary sources of information on pharmaceutical glassware are the catalogues of both the glassware manufacturers and the wholesale druggists, as well as the advertising pages of the pharmaceutical journals. Two of the largest such collections are in the Pharmacy Library of the University of Wisconsin-Madison and the Lloyd Library in Cincinnati. 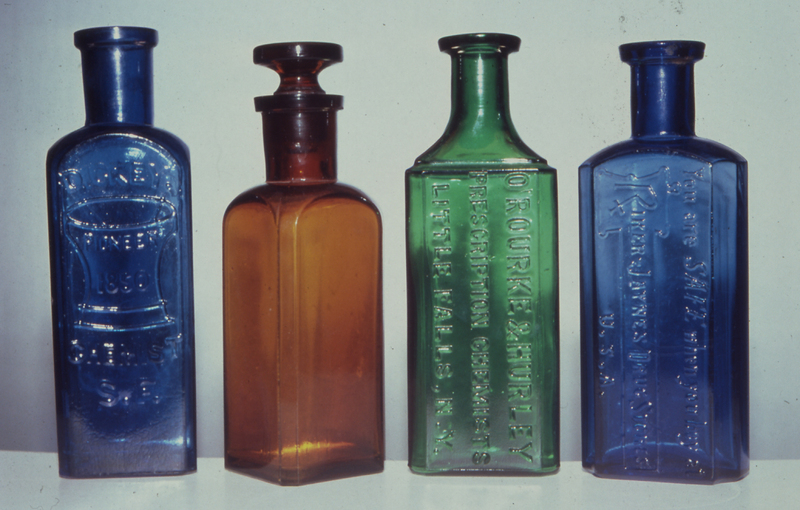 Much of the history of 19th and early 20th-century pharmacy can be found in the colorful prescription bottles that have survived and are available to the collector today. Prescription bottles make an interesting and comparatively inexpensive collection for the historian of pharmacy.